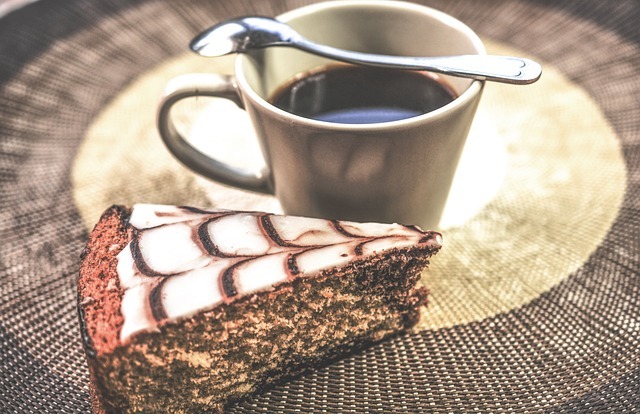 Why not grab a slice of cake and a cuppa, and have a read? What could be more natural than writing murder mysteries after a long career in finance and human resources? It satisfies in some small way my desire to kill someone! I spent many decades at a large Midwestern university steeped in the various whims and vagaries of self-centered academics. As an administrator, I witnessed resentment, jealousy, fear, love, compassion, and hate (but no murders, fortunately! Not that promotion and tenure isn’t something to die for.) These emotions form the basis of all motives, the rationale for what we do in any walk of life. Motivation is a theoretical construct used to explain behavior. It represents the reasons for people’s actions, desires, and needs. Motivation can also be defined as one’s direction to behavior, or what causes a person to want to repeat a behavior. A motive is what leads to all acts of love and devotion as well as every crime. Motivation—whether to keep secrets, fall in love, or murder someone—defines the action in any novel but is most particularly important in a mystery. As a writer I must create events and portray thought processes that jumpstart and maintain the action. Without understanding what motivates them, your characters remain flat and unknowable to the reader. A connection with the characters is essential for a reader to identify with and appreciate the story. In this newly published novel, my main character Anne Chatham ends up in the English countryside typing scholarly manuscripts of an agricultural nature. What gets her there and into the ensuing intrigues is determined by the sweep of history following The Great War, the social and political upheaval of the times, and a rich tapestry of family lore, dark secrets, and forbidden love. In THE VANISHED BRIDE, I believe I have delivered a fun-to-read ghost story. It is a creepy supernatural gothic tale with a spirited heroine, intriguing mystery, engaging romance, and spirits who make the action lively. The story is a mix of mystery and romance with touches of supernatural spookiness and gothic horror. 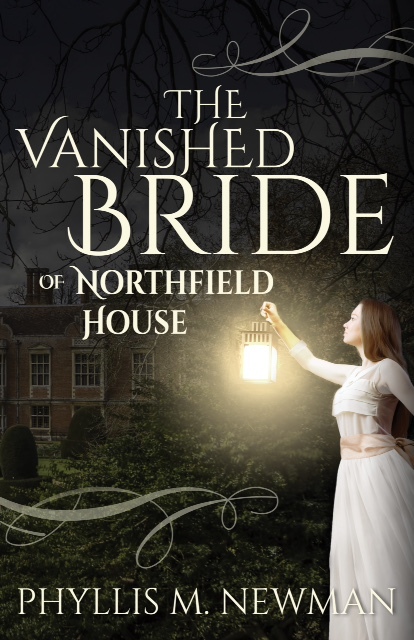 All the characters in The Vanished Bride are haunted, either by disappointment, the unresolved past, unmet desire, or guilt. They are motivated by the same desires, love, hatred, jealousy, and a whole panoply of human emotion, making them like people everywhere. This is a psychological thriller where the details unfold one by one, death by death. My dance partner bowed with the élan befitting a king’s guardsman and, with a little smile, took his leave. She gave me a blank stare. “Have we met?” She balanced a plate in her lap littered with the remnants of an artichoke-olive canapé. The other women, who nibbled on smoked salmon on toast, watched us closely. “How are you, dear?” She looked past me into the crowd. “Have a seat and talk to an old lady.” She made a shooing gesture to the tiny woman in black sitting next to her. The little woman shot me a look of disdain before vacating her chair. Martha opened an elaborate fan and fluttered it before her face. Feeling warm, I wished for a fan of my own. But what I really wanted was a mask to hide behind. The scarlet dress made my desired invisibility impossible. I scanned the guests and spied Thomas again, but not his brother. “Have you seen the bride?” said Martha. “What?” I asked, assuming one of the revelers was dressed as a bride. I searched among the tumult of guests, both the originals and their doubles reflected in the mirrored doors. “Eleanor has never looked more beautiful,” Martha said, beaming. I was engulfed by a wave of pure pity. Martha was at another party in another time. I felt a stab of humiliation. My confidence wavered. But I called upon Eleanor’s supporting presence and decided to humor my elderly companion. After all, her suffering trumped any discomfort I might feel. “Of course!” I agreed. “Do you need anything, Mrs. Langtry? May I get you a glass of water?” I touched her hand. I was wondering how much fun she could possibly be having when she turned to me, leaning close, and whispered like a conspirator. Telling what? She might have been thinking of Eleanor’s wedding—or another event tangled in her jumbled mind. Martha closed her fan. We sat in silence, peering at the assembled throng as they paused with the music. For a moment, anticipation hung in the air. Then an excited murmur ran through the room. All heads turned towards the entrance. Charlotte stood at the top of the steps. She was dressed as an ethereal moth. A shimmering white gown rippled across her body, falling from the high collar at her throat to the floor. Her hair was hidden under a close-fitting, beaded skullcap. A pair of gossamer wings with fluttering ribbons completed the effect. The translucent fabric revealed every alluring curve of her body, unaltered by any foundation garments. She looked like a silken goddess, lit from within by moonlight. The crowd broke into spontaneous applause at her appearance, and Charlotte beamed a glorious smile at her adoring admirers. Cries of appreciation bounced about the ballroom like reflected light. It was only then I saw Owen. Dressed like Edgar Allen Poe, he wore a close-fitting black suit with a silk bow tied loosely around a high white collar. With his dark, tousled hair and solemn expression, he most assuredly recalled the famous poet. He stood at the edge of the dancers, his eyes devouring Charlotte. Something inside me withered and withdrew. With Charlotte’s arrival in her diaphanous costume, I felt sure I looked garish and overdone. Whoever or whatever infused me with confidence had fled. Perhaps this was just what she’d planned. Her image was that of heavenly angel, otherworldly sylph, ethereal sprite. Mine was smoking demon with my tumble of black hair and crimson gown. I might as well have been holding a pitchfork. As I watched Owen, who looked mesmerized by Charlotte’s silvery figure, a young man appeared before me, extending his hand. I rose without thinking, without seeing his face, and we spun awkwardly about the floor. A jazz number gripped the crowd, and another man stepped forwards and pulled me into the circle of revelers. I moved to unfamiliar music, rocking and bouncing, ungainly and clumsy, back and forth and around. Drums pounded and horns blared in propulsive syncopation. I continued to dance and dance, unable to catch the tempo. The beat of the music pulsed throughout the room, the rhythmical throb vibrating the floor, and we swayed and dipped through the whirl of sparkling color and grinning faces. I feared I was making a spectacle of myself, but felt trapped in the crush of dancers. Charlotte drifted through the mob like a cloud, bestowing kisses, dancing with one admirer, and laughing with another. I heard a babble of praise follow her whenever the music paused. Everything tilted for a second when a waltz seized the room and rolled over the dancers. Another man took my hand and we eddied and swirled, round and round. Yet another man cut in. I hardly acknowledged my partners, barely felt their hand in mine, the other resting at my waist. Phyllis M. Newman is a native southerner. Born in New Orleans, she spent formative years in Florida, Iowa, Mississippi, and on a dairy farm in Ross Country, Ohio. After a long career in finance and human resources at The Ohio State University, she turned her attention to writing fiction. She published a noir mystery, “Kat’s Eye” in 2015, and “The Vanished Bride of Northfield House” in 2018. Today she lives in Columbus, Ohio with her husband and three perpetually unimpressed cats, ghost watchers all. Thank you, Jenny, for the opportunity to share! I appreciate your support.